NIA CHARLESTOWN NEVIS (May 12, 2016) — Deputy Premier of Nevis and the Minister of Tourism Hon. Mark Brantley, welcomed the move by the Four Seasons Resort to include St. Kitts and Nevis on one of its 2017 itineraries, for its private jet’s first visit to a Caribbean destination. 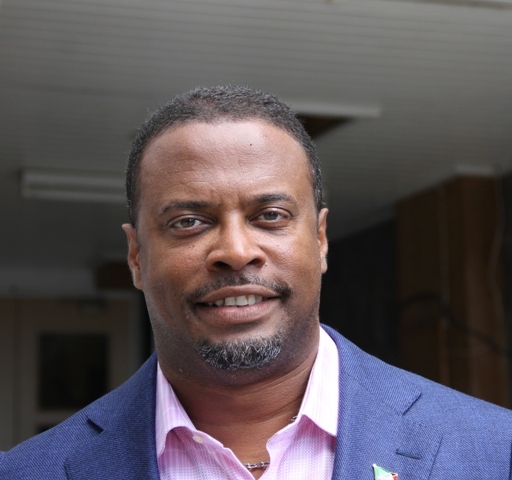 Mr. Brantley who is also the Aviation Minister in St. Kitts and Nevis, told the Department of Information on May 12, 2016, one day after the announcement by the resort, that the move is a welcomed development in Nevis’ tourism. “[It] confirms the gains that our little Nevis has made as one of the premier high-end destinations in the world. “We are pleased that Four Seasons Nevis has been included in this innovative luxury travel offering and Nevis looks forward to welcoming our guests with our usual warmth and hospitality,” he said. 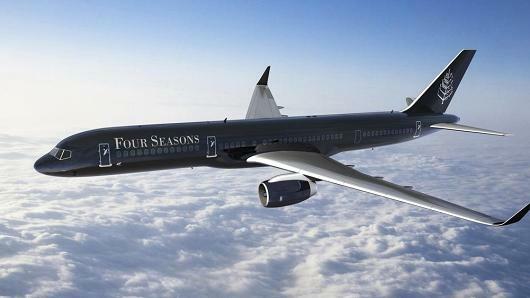 According to the press release from the resort, the Four Seasons Private Jet takes the legendary Four Seasons service to the sky in a first class, private Boeing 757 that accommodates 52 guests. It will open doors to extraordinary adventures and memorable destinations while staying exclusively at Four Seasons hotels and resorts in every location. “Four Seasons Resort, Nevis, will be one of the destinations on the 24-day, nine-country Global Getaway itinerary, departing March 16 and concluding April 08, 2017. “The Four Seasons Private Jet will arrive in the Federation of St. Kitts and Nevis on April 02, 2017 to offer guests three nights to immerse in the laidback, tropical-island paradise and Four Seasons Resort Nevis’ renowned authentic Caribbean luxury,” the release states. According to the release, guests will be welcomed on the tarmac and wished away to the YU Lounge at the Robert L. Bradshaw International Airport in St. Kitts where the luxury, private-terminal concierge will handle the baggage claim and immigration and customs processing, while guests enjoy Champaign and canapés. While at the resort the guests can embark on an expansive range of exciting activities during their stay, such as deep-sea fishing, summiting Nevis Peak, breathtaking sunset sailings or step into history and visit the Bath Hotel, the very first hotel in the Caribbean built in 1778 and Hamilton House, the birthplace of United States’ Founding Father Alexander Hamilton. The release added that the guests can also choose the Dive and Dine Extraordinary Experience, where a Four Seasons chef will take guests to a secret dive site to “lasso” their own lobsters, like it is done locally, which will be part of the fresh-out-of-the-water, personalised beach barbecue menu as soon as they return to the land. It said the options in St. Kitts and Nevis are boundless for Four Seasons Private Jet guests.